Our 2nd Anniversary is coming up in a few weeks. It’s really hard to believe as it feels like our 1st anniversary was just a little bit ago. I’m trying to keep it a bit more low key than last year (we went BIG), but I still want to honor it and celebrate it. After all, this has been a 6 year journey for me and I have given everything I have to it. This last year has been the best and worst for me. The best – Yoga-urt is starting to stand on its own and the love and support from our customers/community has and continues to blow me away. The worst – I’ve been beat up this year in ways I can’t share and never saw coming and have hurt me deeply. In addition, my mom’s health has continued to worsen due to her degenerative disease which has impacted our family greatly. It’s also been a year of exhaustion as I juggle both Yoga-urt and my job, but I am slowly making changes to make this more manageable and to try to have a life again (and sleep :). No one said it was easy starting your own business, and it’s not. And when money is tight from the beginning, it’s even harder. But that’s what makes moments like these that much sweeter. 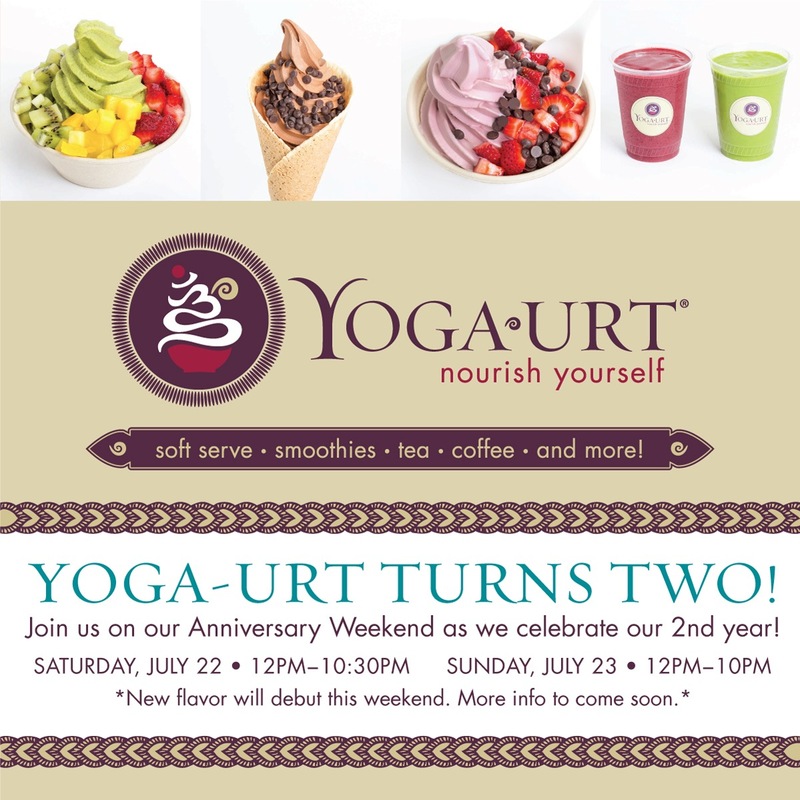 I am so proud of how far Yoga-urt has come and how far I’ve come. There were many times during this journey when I felt like Yoga-urt was never going to see the light of day. But I never gave up, found some great support along the way, and here we are. I’m going to take the week off from my day job after the anniversary so I can properly honor this journey. I want to soak it in and give myself some TLC. I won’t be traveling anywhere – staying close to home – but really looking forward to it. In the meantime, there is much to do. We are still working on a new flavor that will be introduced that weekend. There is a photo shoot next week for something exciting we are working on and hoping to launch in the next month. We are finally getting a storage unit on the property (it’s currently my condo) but it will need some work and will take time to transfer everything. And the list goes on and on. But one thing at a time. For this month, I want to honor and reflect on how far we’ve come and to celebrate it!